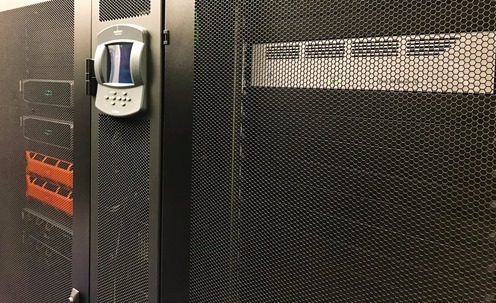 Kringvarp Føroya (KvF) in The Faroe Islands has installed three Penta 720 Broadcast Audio Routers for distributing and converting audio in its main building in Thorshavn, as well as another unit in an OB van, for TV and radio productions in the field. The solution was provided by system integrator Mediacare. Like many broadcasters around the world, KvF is facing a transition period where existing, analog solutions need to be integrated with new, digital formats, standards and equipment. 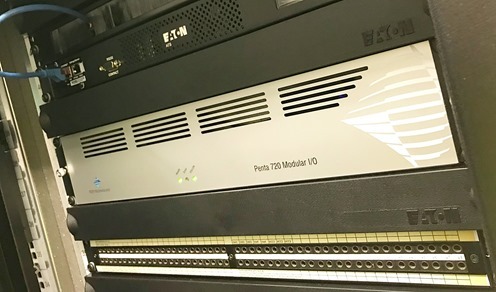 In order to meet this demand, KvF has invested in four of our Penta 720 Broadcast Audio Routers to handle routing, as well as converting between digital formats, including AES, MADI and Dante IP Audio. Further, plans are in motion to fit one of the Penta 720 units with analog cards in order to be used as a bridge to interface with the main analog patchbay. We connected with KvF to learn more details on how they have integrated the units and in which ways they are beneficial to their overall broadcast facility. But before we delve into the technical details, what is the story behind the North-Atlantic broadcaster? In fact, Kringvarp Føroya in its present form is a relatively new station that was founded in 2005, but that is merely due to a significant joint venture where the islands' main radio and TV stations were united. Today, KvF produces its own local-language program material to cover about one third of a typical day of broadcasting, as well as working together with Danish and norwegian broadcasters, TV2 and NRK, to air content for the remaining part. On the radio side of things, all content is local-language programming. 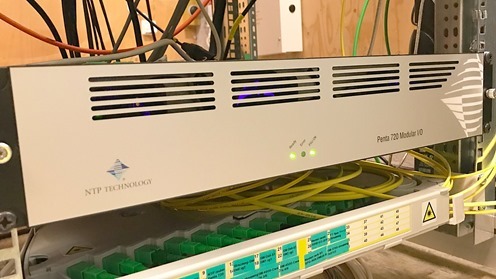 The three Penta 720 units are set up in a decentralized configuration with one of the Penta 720 units acting as the master router and two additional units in the building are set up as sub-routers – both of which are connected to the master unit via 128 channel fiber-optical connections. 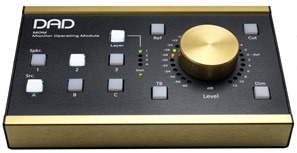 The master unit is fitted with four SDI embedder / de-embedders, eight optical MADI ports, as well as a 64 channel Dante interface, in addition to the AES connectivity that is part of the Penta 720 as standard. “It was important to us to place the Penta 720 units strategically around the facility in order to save huge amounts of cable runs. For instance, we have one of the units sitting right above our old, analog patchbay where it will function as a bridge between old and new," explains Eyðbjørn við Skipá, Engineer at KvF. The two slave units are fitted with additional optical MADI ports and one of them with an additional 16 channels of AES in order to be able to connect with a variety of consoles, headamps and intercom systems. “Through the combination of the Penta 720 units and the VSM software, we can access all and any sources in our mixing consoles in all of the studios, including Radio, TV and MCR,” says Eyðbjørn við Skipá. “Now, we can get program material from our Studer consoles, OnAir1500, OnAir3000, Vista1 and Vista5, via MADI through the Penta 720 and out on Dante to our RTS Odin intercom matrix. In the KvF setup, an existing VSM audio-routing software solution by Lawo was already in place by the time the Penta 720 units arrived, but even though we do offer a similar solution (VMC), it is no problem for Penta units to integrate with a VSM-based routing system. In this particular case, the VSM router management software controls the Penta 720 units via the Pro Bel SW-P-08 protocol. Another key requirement for the solution was that it should be possible to control the Studer stageboxes from the Studer consoles through the Penta 720. The consoles communicate with the stageboxes through the MADI signal, and the Penta 720 is transparent to this communication, allowing the control communication to flow freely between the consoles and the stageboxes in parallel with the audio. The fourth Penta 720 has been installed in one of KvF’s OB vans to be the interface to the main facility. 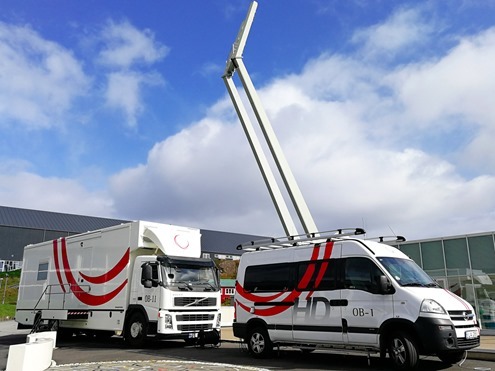 “The Penta 720 in the OB Truck has been set up as a slave to the master unit at the station, which means that when we hook up, the OB Truck will immediately be on the IP Audio network,” Eyðbjørn við Skipá tells us. 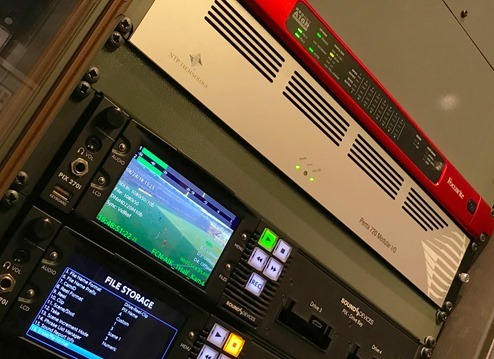 “We have mounted three MADI streams on fiber, the built-in MADI on coax, as well as Dante to the panel in the back of the OB van, which enables us to connect to virtually any system we should happen to come across. On a final note, the Penta 720 in the OB van is also hooked up with one of our DAD MOM Monitor Operating Module units for hands-on monitor control when on the road. In conclusion, the entire setup at KvF is an ingenious mix of old and new standards at the station as well as in the OB Vans. And we are proud to have Penta 720 units sit firmly and strategically within that system, bridging the gaps between various digital formats, as well as between the analog and digital domains.